I enjoy your blog, but I think your preferred method of using the microwave to cook the noodles is not ideal. Cooking on the stove top allows the noodles to soak up the flavor of the broth much better. 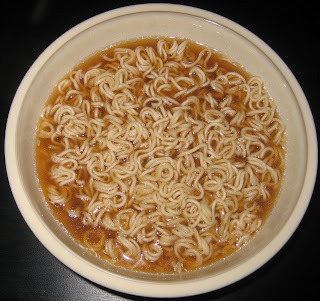 I have also found that the amount of water instructed on most packets of ramen is too high. Use the stove top, use less water, and don't overcook. 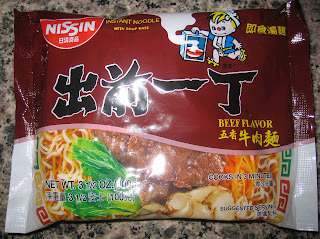 Please continue to post on different types of ramen. Thank you. I cook by adding boiled water. That's it. Or you could just do it yourself. Ramen is meant to be a quick, convenient meal when using a microwave. I'm pretty sure the owner of the blog makes his ratings based on taste which makes your suggestion even more pointless. I had never tasted something like that before but when my father took me to a restaurant where they served it I was fascinated because of the incredible flavor.